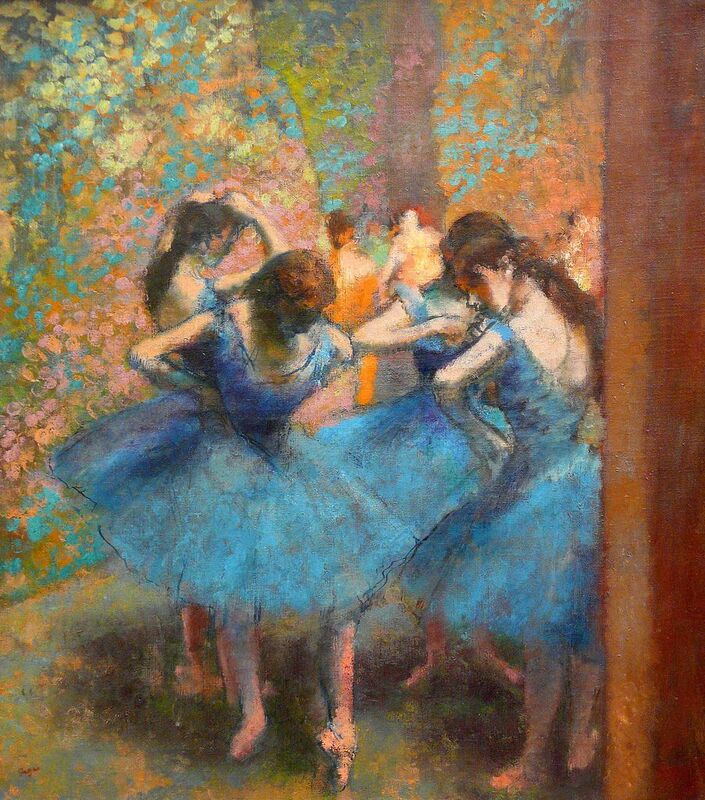 Edgar Degas (19 July 1834 - September 1917) was a French painter who is renowned for his oil paintings, prints, drawings and also sculptures. 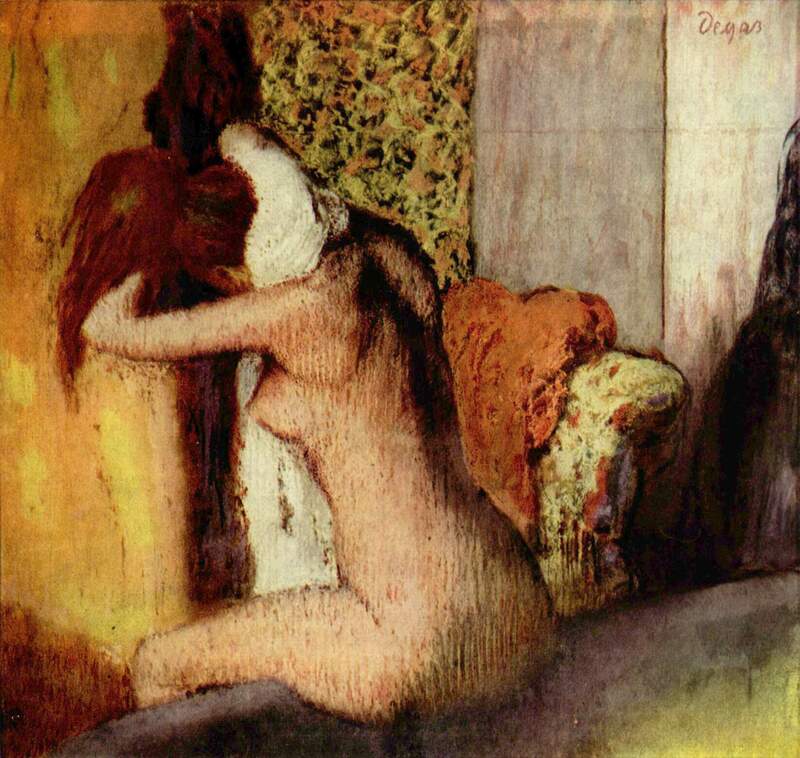 Degas is always regarded as an Impressionist, he was also assocaiated with the seminal group of Paris painters who exhibit together in 1870s. 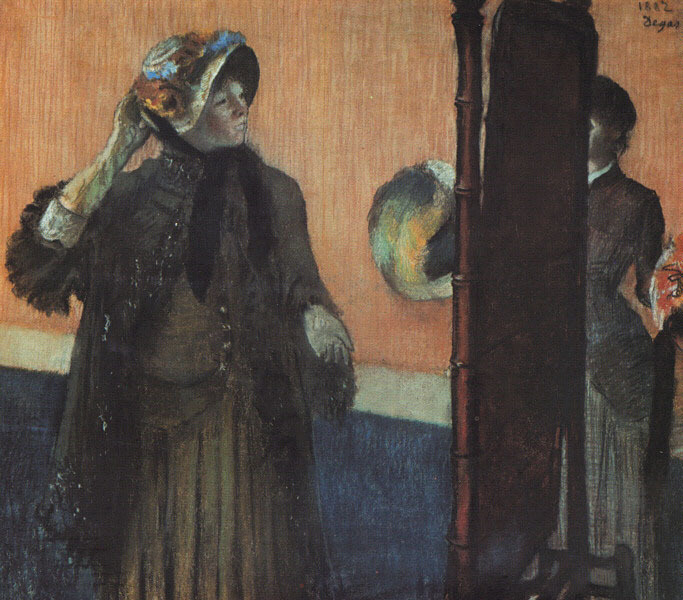 Degas discussed several of their novel approaches, was attacted by the difficulty of capturing light effects and intersted in moments of urban leisure. 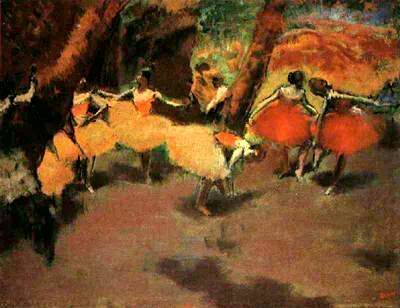 He is most famous for his subject of dance, most of his paintings are about dancers. 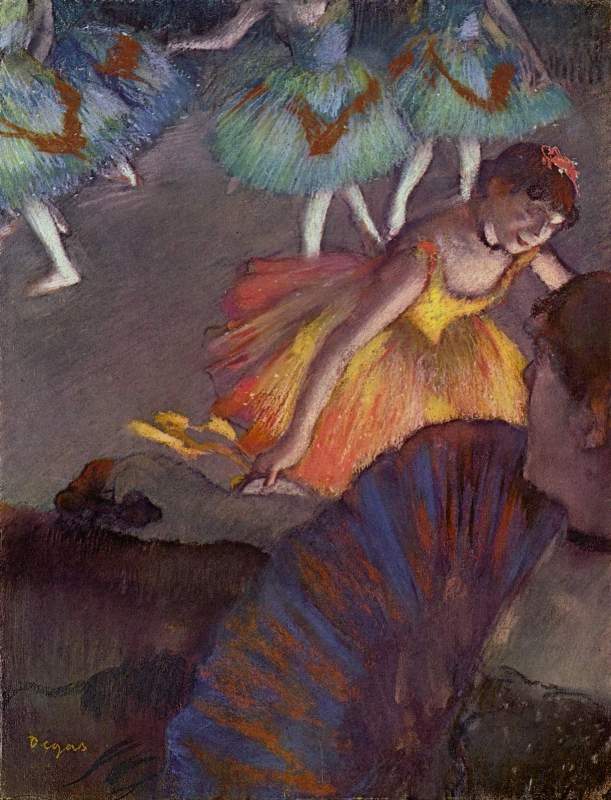 Edgar Degas was a outstanding draftsman who specialize in depicting movement, as can be seen in his renditions of dancers, racecourse subjects and even female nudes. 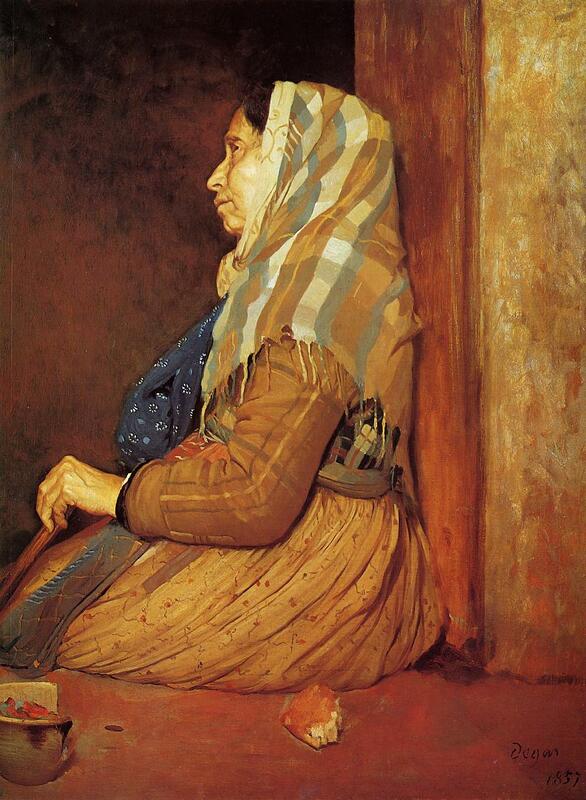 His portrait paintings are famous for their psychological difficulty. 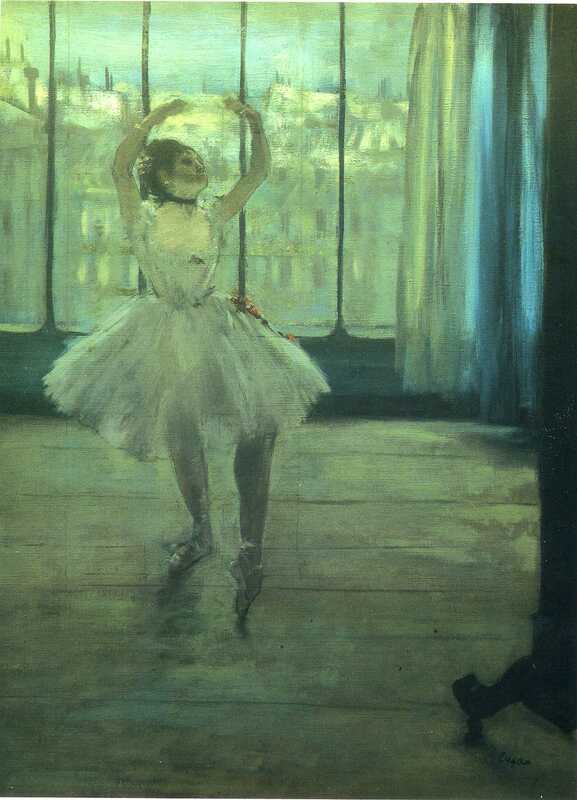 The artist was born Hilaire-Germain-Edgar de Gas on July 19, 1834 in France. His father was a banker, and his mother was from New Orleans. They were people in the middle class having nobler pretensions. 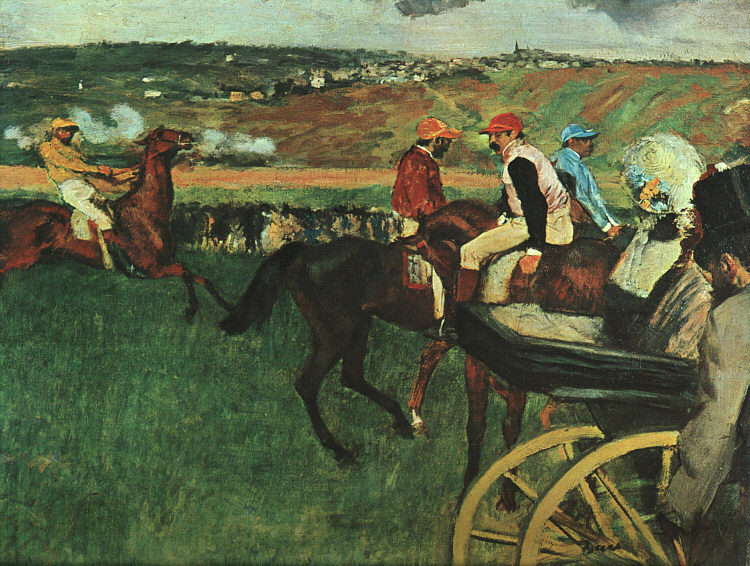 For quite some time, the family spelled their name "de Gas"; the preposition "de" indicating a land-owning aristocratic background that they actually did't have. 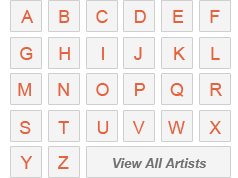 When the artist was an adult, he changed back to the initial spelling. 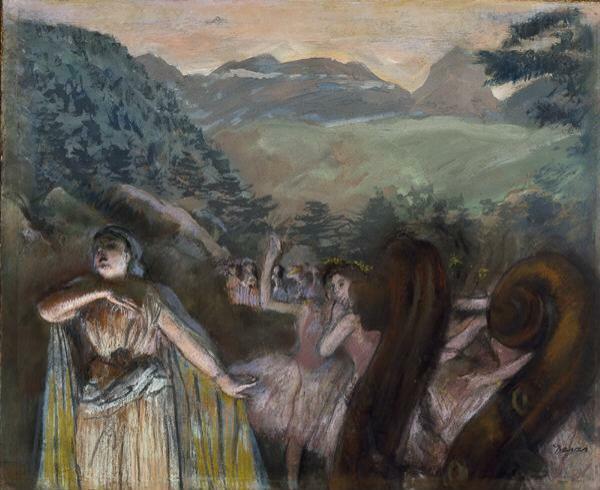 Degas originated from a really musical background; his mother was an recreational opera singer along with his father organized for performers from time to time to provide recitals in their house. 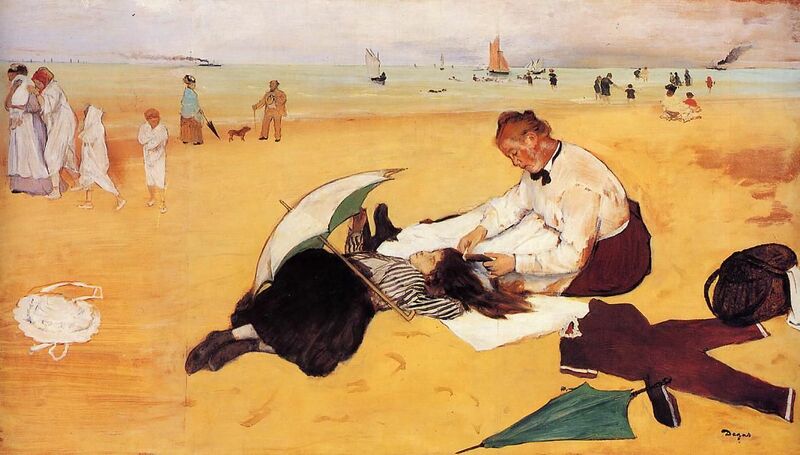 Edgar went to the Lycee Louis-le-Grand, which a esteemed and demanding boys' school where the artist got his education..
Edgar also has a fantastic skill in drawing and painting when he was a child, a gift motivated by his father, who was an art lover. 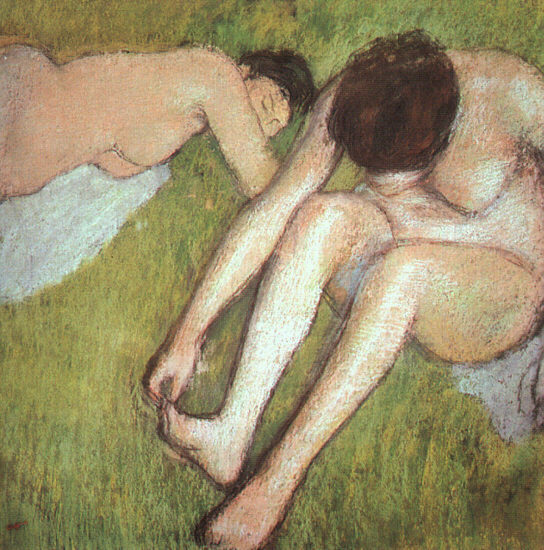 When Edgar was 18 years old, he got approval to "copy" at the Louvre in Paris. 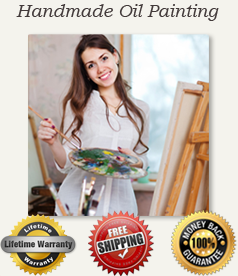 (In 19th century, aspiring painters evolved their skills by trying to reproduce masterpieces of famous artists). 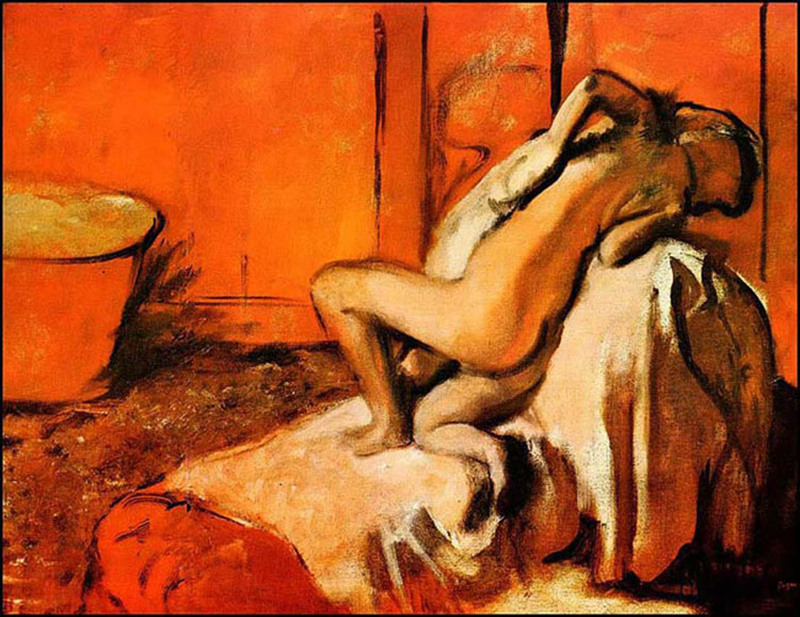 Edgar replicate some amazing reproductions of Raphael and learning more contemporary artists' work like Ingres, Delacroix etc. 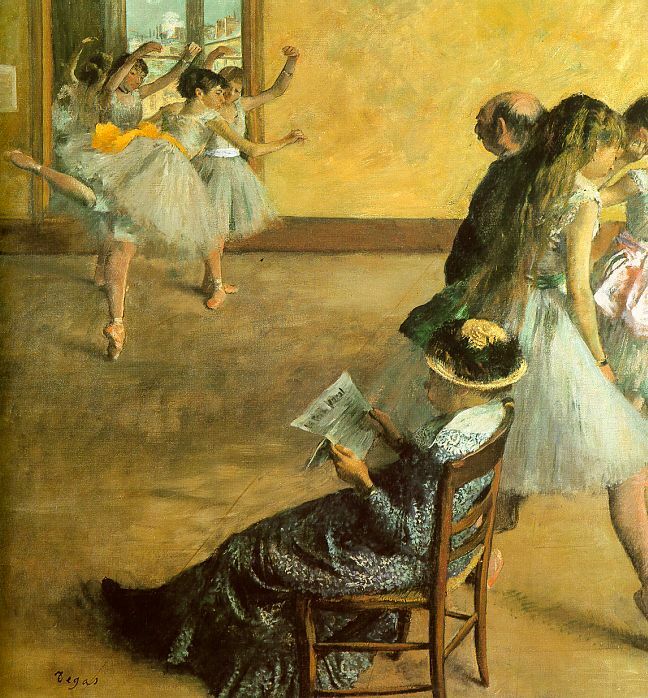 Degas gained admission into the Ecole des Beaux-Arts in Paris in 1855. 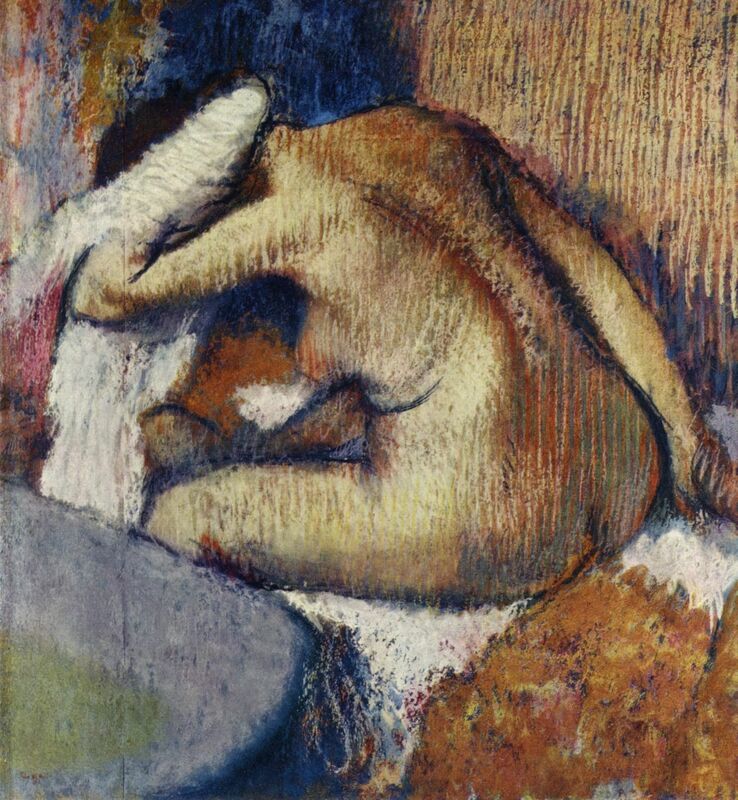 Even so, he left the school after only one year to travel, painting and learning in Italy.He created painstaking reproductions of Michelangelo and Da Vinci's works, building a reverence for classical linearity which stayed a unique feature of even his most contemporary artworks. 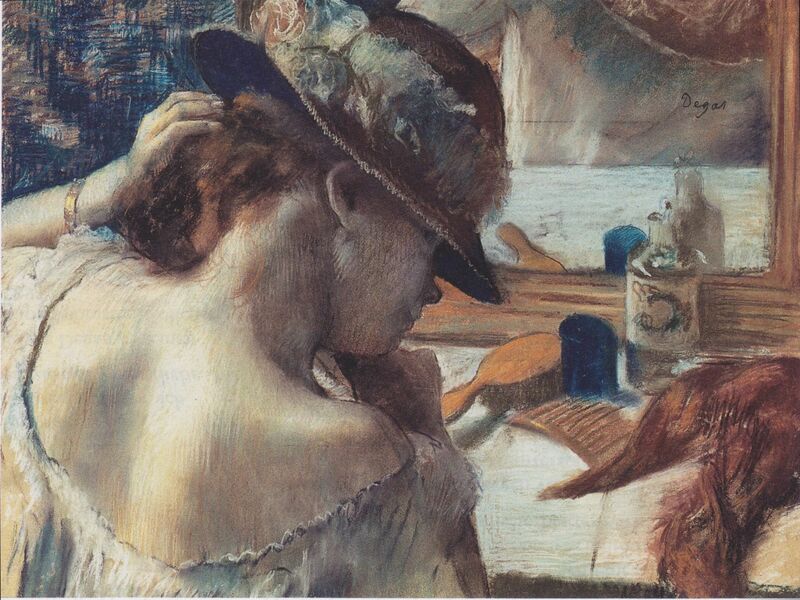 Degas returned to Paris in 1859 and make himself well known as a professional artist. Having a traditional skill, he painted big portrait painting of members of the family and great historical scenes including "Semiramis Building Babylon" ,"Scene of War in the Middle Ages" as well as "The Daughter of Jephtha".He handed in these oil paintings to the all-powerful Salon where many French painters and teachers who presided over public shows.The all-powerfull salon had quite strict and traditional ideas of beauty and appropriate artistic form, they received Edgar's artworks with analyzed indifference. 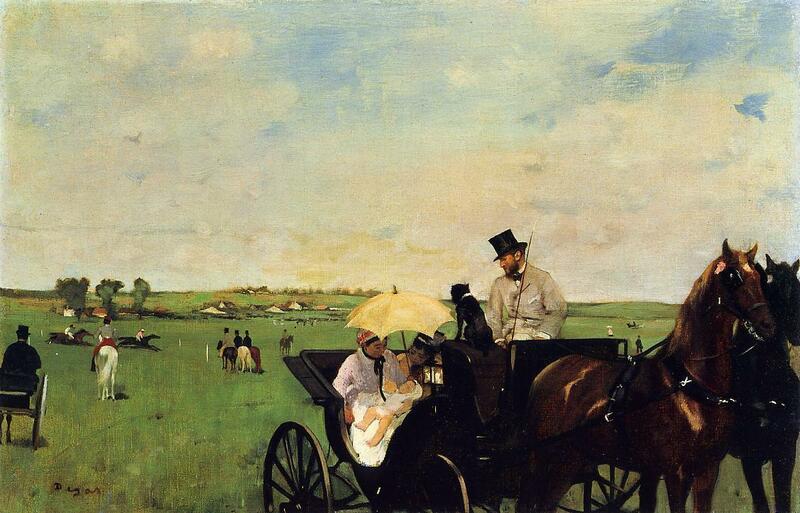 Edgar met fellow artist Edouard Manet at the Louvre in 1862, and they are became friends immediately. 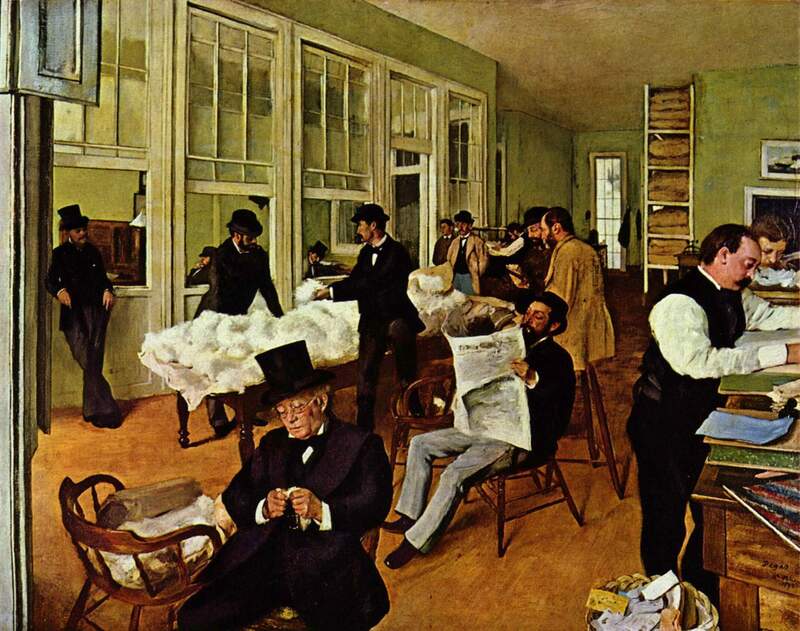 He became to show Edouard Manet's concept for the presiding art establishment along with his idea that painters needed to use newer skills and subject matter. 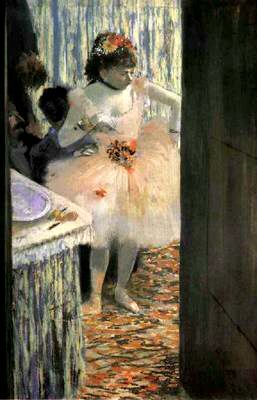 By 1868, Edgar became an important person in a group of avant-garde artists which includes Manet, Claude Monet, Renoir and Alfred Sisley, they spent time together very often at the Cafe Guerbois to talk about techniques in which painters could interact the world. 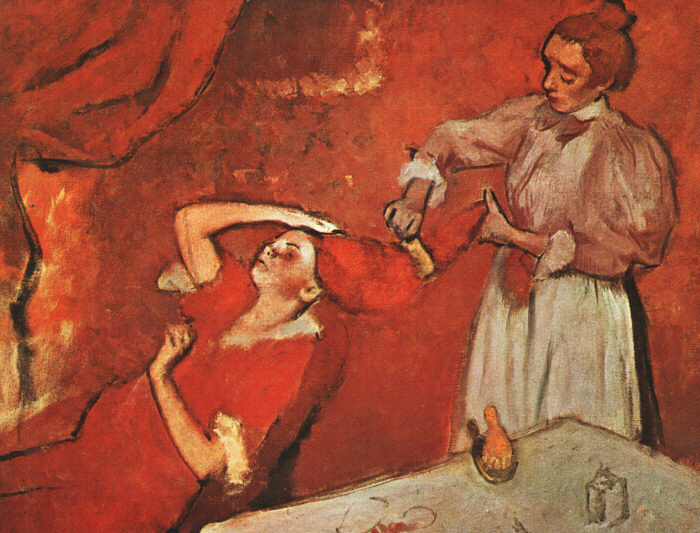 Edgar were living well into the 20th century, even though he created less artworks during these years, he promoted his oil paintings relentlessly and turned into an enthusiastic art collector. 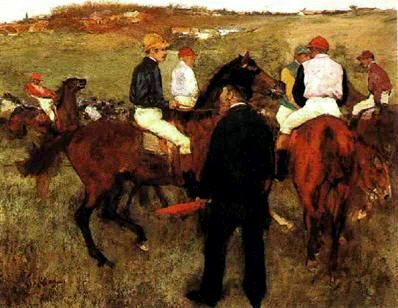 He never gotten married, despite the fact that he did count a few wome which including Mary Cassatt who is an American artist. He died in Paris on September 27, 1917, at the age of 83.